Static Control has been the largest manufacturer of aftermarket imaging systems and components for more than 30 years. Building upon our reputation as the technology and quality leader of the aftermarket, we are bringing new levels of stability to the industry through our finished cartridge offerings. The company was founded in 1987 and focused on manufacturing static-shielding bags for static-sensitive products, hence the name Static Control. The company evolved, and soon added an imaging division. What started as one specialized item grew to include thousands of products for the growing imaging aftermarket, including toners, doctor blades, OPC drums, PCRs, toner adder rollers and microchips. Demand for a premium quality aftermarket cartridge led Static Control to offer finished cartridges. 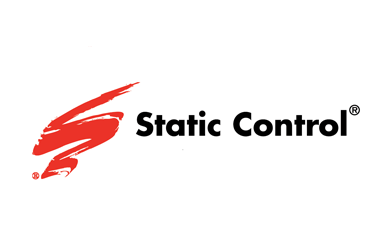 In 2015, Static Control joined the Ninestar Corporation Group – which includes Lexmark, Ninestar and Apex Microelectronics. Our combined aftermarket cartridge capacities manufacture nearly 12 million ink jet and laser cartridges a month. We bring the highest value opportunities to the imaging aftermarket by delivering award-winning, localized customer support, global logistics, combined with our relentless pursuit of quality and unmatched expertise in cartridge research & development. Our technology is present in nearly every high quality aftermarket ink jet and laser cartridge in the world. Static Control is a vertically integrated manufacturer. We research, develop, manufacture, assemble, package and deliver our remanufactured and compatible cartridges. Our start-to-finish approach means even before we test our cartridges, we control the interior parts to meet exceedingly high quality and performance standards. Each component, chip, toner and ink goes through rigorous quality control processes. We know and consider every detail within a cartridge, from the electrical charge variances of components to the microscopic additives in toner, and how it all must work together to deliver beautiful prints from the first page to the last. To learn more, visit www.scc-inc.com.